This time last year there was an excitement in the air. Things were going to change. Investment was on its way. Zimbabwe just might get back on track after the Mugabe years. I was getting numerous enquiries from potential investors in agriculture who had come across this blog, for instance. Not that I had much to offer, but I encouraged them to explore options. Today they are silent. The uncertainties in the economy have meant that people are seeking other alternatives. Zimbabwe may be losing its moment. A year is a long time in Zimbabwe. What then needs to be done in 2019 to turn things around? Many options can be implemented if the government is brave and confident. Others require outsiders to be convinced that change is afoot. In 2018, there have been important moves. The mood music is right, and the post-election cabinet is slimmer and more competent. But actions must follow words. Many Zimbabwean commentators are offering their advice for the new year. Hopewell Chin’ono for example identifies the need to get agriculture moving again as a key priority. I agree. The 10 priorities I spelled out a year ago still apply. Chin’ono also highlights the importance of paying compensation to former farmers, and seeing through the land audit. Again, I agree, as also discussed many times over the last years. While he suggests there is masses of underutlised land, I suspect much of this is the result of failures to invest because of lack of financing, rather than an unwillingness or disinterest. The rhetoric around underutilised land in Zimbabwe has a long history, as I have pointed out before. But the issue remains: particularly in the A2 areas, there needs to be a step-change in investment and production, and command agriculture is only part of the solution. As argued on this blog before, the land audit needs to address these issues, and head on; no matter what the political sensitivities. The Land Commission has indeed initiated the audit, but only 500 A2 farms are expected to be issued with 99-year leases this year. This is too slow. And because funds have become available only for elements of what is required, the audit is not necessarily being connected to galvanising other areas of land administration and investment. My suggestions of last year – the need for a comprehensive, district based approach – still stands. But this needs to be done quickly and comprehensively to show that it is possible and successful, based on pilot areas. This will generate the confidence that investors need to engage in the post-land reform setting. Eddie Cross has some good recommendations for the president on wider policy change, all of which I agree with. The emphasis was on implementing the agreed Constitution and ensuring key institutions are functioning. Growth and investment follow from effective institutions, as trust increases. His ideas echo those of prolific commentator, Alex Magaisa, in his most recent BSR, and in an earlier one on the problems – for both capital (such as Delta) and labour (such as the junior doctors) of having a parallel currency arrangement. Along with many others, I would add in security sector reform to the list, but the key elements are there. Much will flow from such actions aimed at legitimising and reinforcing key political and economic institutions, including positive consequences for the agriculture sector. “Firstly, please bring the market chaos under control – not by dictate because that would just make matters worse, but by allowing market forces to sort out supply and demand and set values. Take the Reserve Bank out of the market for currency, stop stealing hard currency, allow our banks to trade and float the local dollar. And do not delay, do it like we did on the 17th February 2009. You will be very surprised by the market response. Secondly, set a clear timetable and list of targets for the reform of our legal system so that we implement the 2013 Constitution in full in three years. Do not do it by subterfuge, like indigenisation, but do it openly and properly so that the world can see we are at last putting our legal and political house in order. Thirdly, start the process of cleaning up our politicized and compromised Judicial system. Begin with the Chief Justice and the Judge President and then allow them to review the entire bench down to Magistrate level. Give us a powerful and totally independent Prosecutor General who will take no prisoners when it comes to fighting corruption and enforcing the law. Fourthly, respect our property rights. Start by fulfilling your commitment to pay compensation that is fair and affordable to all those who have lost property to the State – and it’s not just the former farmers – it includes Mawere. Stop all those who are using their political connections to abuse the rights of others. Insist on the Courts enforcing contracts and the Police in following Court instructions – to the letter. Fifthly, if taking your comrades to the cleaners over past violations of the law or corruption is too much to ask, draw a line in the sand and say that all who did those sorts of things before the recent elections are given a blanket Presidential Pardon and protection from prosecution. But then, demand that all such activities stop immediately or else those who are continuing to abuse their posts will face severe penalties and the full weight of the law for both present and past violations of the law. I have just one quibble with Cross’ list. I agree that respecting past rights is essential – and that includes compensation for expropriated property – but this is not of course the same as advocating private title for the future; an issue on which I diverge significantly from Cross’ prescriptions. This however does not undermine the argument for addressing the compensation issue, even if future land tenure arrangements should be different to the past. More generally, as Hopewell Chin’ono argues, a new attitude in government is required, one that grabs the opportunities and does not blame outside forces for all ills. This was the narrative of the Mugabe era. It is true that on-going sanctions, even if directed only at certain individuals, are hampering investment indirectly. ZIDERA in particular is a big blockage. But the government needs to address the conditions squarely, while not conceding everything. A more confident, pro-active stance on land, agriculture and investment, combined with an acknowledgement of the need for compensation for former land owners, will go a long way towards convincing outsiders – maybe even the United States government – that Zimbabwe is serious, and the second republic has a chance of flourishing with external support. The most popular blogposts published in 2018 are listed below. Debates in Zimbabwe have been dominated by the July election and their aftermath, and several popular blogs covered this period, both before and after the elections. The deepening economic crisis and the drive to encourage investment have been covered in other blogs, making the case for a focus on agriculture and rural economies and a locally-led economic development, rather than a blind neoliberal rush. South Africa’s ongoing debate about ‘expropriation without compensation’ continues as a hot topic in the region, and is reflected in a blog in the number 1 spot. Many commentators in South Africa and beyond make lazy comparisons with Zimbabwe, arguing that Zimbabwe’s ‘failed land reform’ will be repeated south of the Limpopo if South Africa opts for a major land distribution. Our work over many years has attempted to counter the persistent myths about Zimbabwe’s land reform, but despite everything they continue to be trotted out. 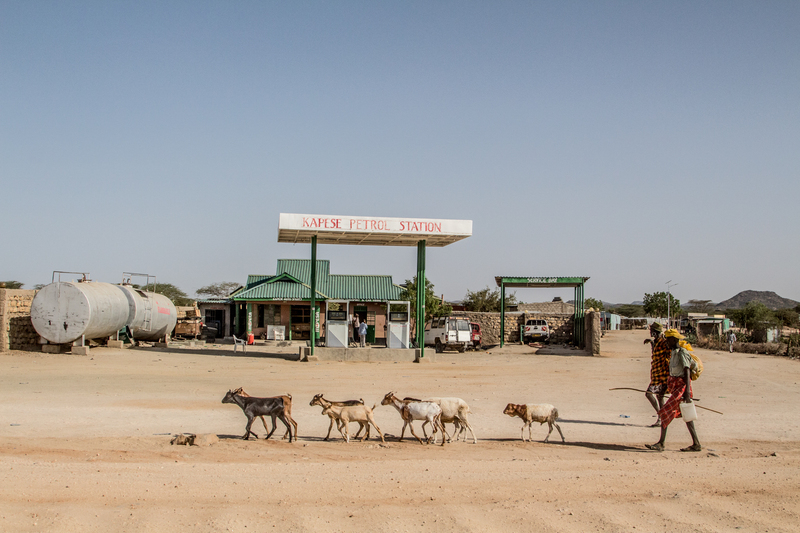 A number of blogs this year have summarised findings in relation to big policy themes, such as compensation for expropriated land and the need for an effective land administration system in the hope of moving the debate forward with the ‘new dispensation’. A popular blog, as with many others subsequently published in quite a few outlets, lists ten big priorities for agriculture and rural development, while another challenges simplistic notions of ‘viability’ in land reform debates. 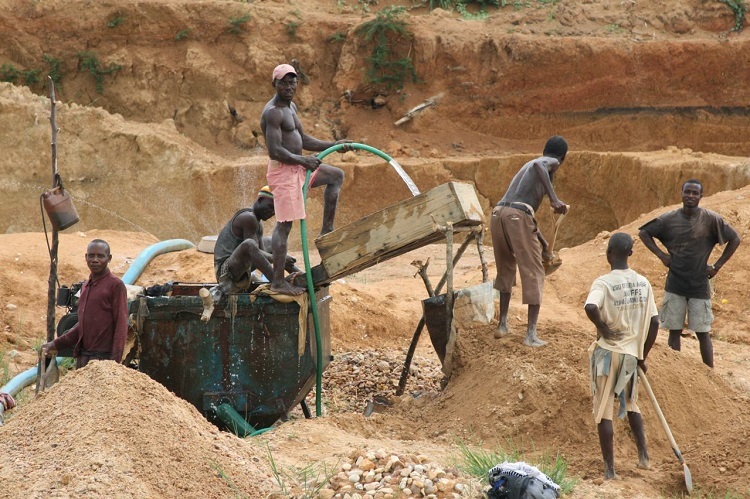 Early in the year there was an extended series of blogs covering research published by Zimbabwean researchers on a range of themes, from labour to mining to gender relations to rural authority. The extent and quality of scholarship on land issues in Zimbabwe remains impressive, and younger researchers are emerging as important commentators on Zimbabwe’s future, drawing on solid, empirically-based research. This work will hopefully have a cumulative effect of dislodging some of the pervasive and misinformed narratives, and provide the basis for more informed policy debate. The Zimbabweland blog will resume early next year, with more commentary and analysis, and further summaries of new research from the field. In 2018, there were more views of the blog than ever, numbering around 90,000, with many more engaging when the blogs are published elsewhere. Many readers find blogs from years past useful, as there are now nearly 350 in the archive. If you want a selection of past blogs collected together by theme, and with new introductions to each, then the low cost book, Land Reform in Zimbabwe: Challenges for Policy is available from Amazon and other online booksellers. It’s only £1 for the Kindle version, and £5.50 for the paperback! The frequency of posts has declined to once every other Monday this year. This is because I have launched another blog linked to another research project, and just don’t have the time for a weekly offering. The new blog doesn’t involve Zimbabwe, but for anyone interested in pastoralism in different parts of the world, and wider debates about livestock, rangelands and the challenges of living with uncertainty, you may want to sign up to the PASTRES (pastoralism, uncertainty and resilience) blog at www.pastres.wordpress.com, which appears on alternate Fridays, and also check out the website at http://pastres.org, where you can sign up for newsletters that appear twice a year. 5 At Davos, can Zimbabwe re-engage with the global economy on its own terms? 7 Zimbabwe’s 2018 election: what do the manifestos say about land? 8 Zimbabwe’s latest crisis: it’s the economy – and politics, stupid! 16 Open for business: what does investment look like on the ground? 20 Post-election round up: what now for Zimbabwe? ‘Medium-scale’ farms as seen as potential drivers of future agricultural growth in Africa. In Zimbabwe, much hope is vested in A2 farms allocated at land reform becoming productive, with hopes pinned on investment flowing following the election. The A2 farms, averaging around 100 ha in extent, will be a major focus of policy attention in the coming years, as attempts are made to resuscitate the commercial sector. These are also the areas where the political-military elite now firmly in power own land, and there will be multiple political and economic incentives to invest in the A2 land reform areas. But what will be the future of such medium-scale commercial farms? Can we look to historical experience to suggest possible trajectories? What will happen to the A2 farms several generations on? Will we see a progressive evolution of increasing commercialisation and investment driven by market forces as is sometimes assumed, or will a greater diversity of outcomes arise, as chance, necessity and contingency play their part? A new paper is just out in the journal Africa (open access) that asks these questions. The paper draws on an historical and contemporary assessment of what were called ‘native purchase areas’ in Zimbabwe. These were medium-scale farms in todays’ parlance, established for black farmers by the colonial government from the 1930s. 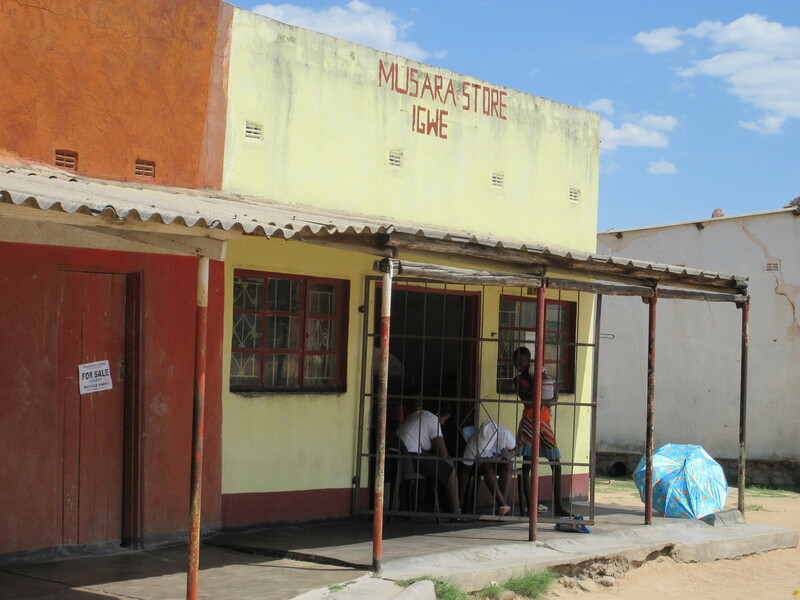 Through a study of Mushagashe area, we asked what’s happened since, and why? A number of recent studies have documented the growth of ‘medium-scale’ farms across Africa, from Ghana to Malawi to Zambia to Kenya. 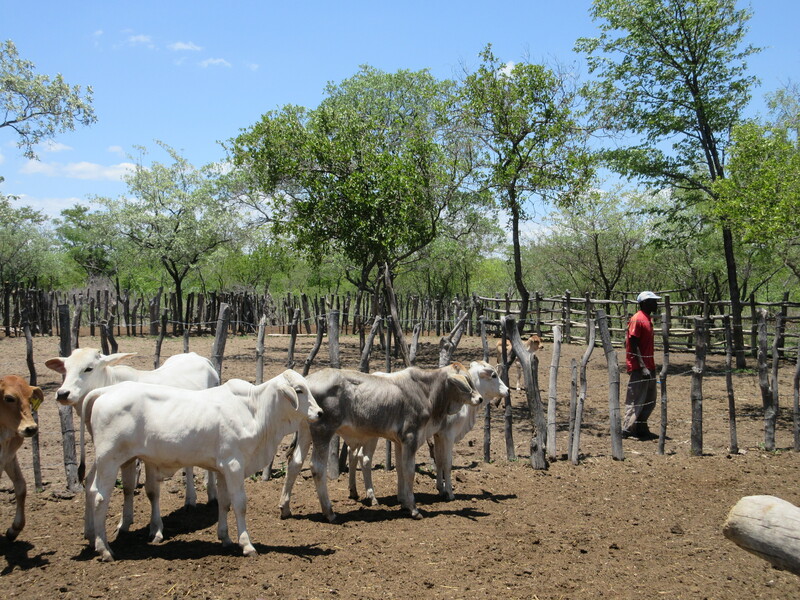 ‘Investor farmers’ – local rural elites, retired civil servants and urbanites wanting a rural base – are creating a new dynamic as land markets – both formal and informal – emerge, and rural traditional leaders, government officials and others get involved in the process, accruing personal benefits along the way. This redistribution of land towards a new elite results in processes of land dispossession and rural proletarianisation, but also investment, skill development and economic linkage effects between new medium-scale farms and the smallholder plots that surround them. For many, despite the negative consequences for some (perhaps many), this dynamic is seen as the future: a ‘structural transformation’ of the agrarian setting, offering many opportunities for growth and investment. 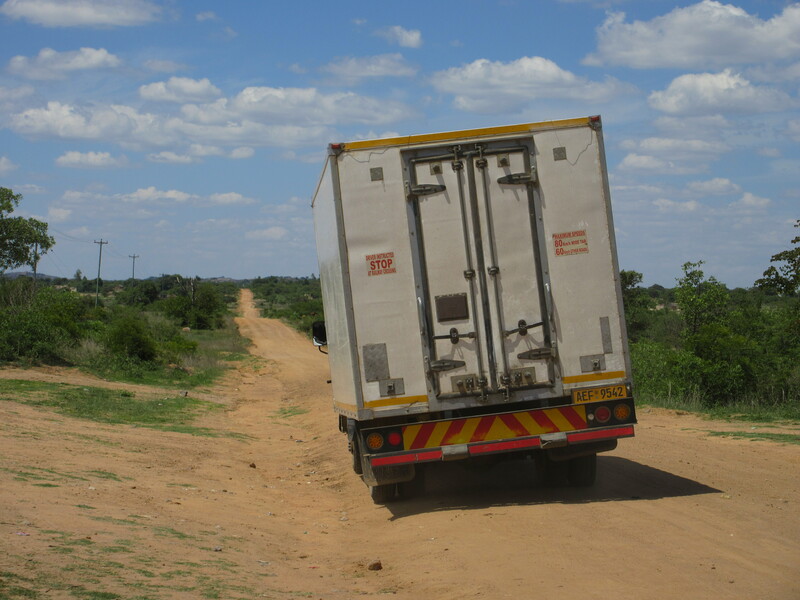 In Zimbabwe, the land reform of 2000 created a category of medium-scale farms – the A2 schemes. Around 25,000 such farms were allocated, ranging in sizes from around 20 ha (especially with irrigation) to over 500 ha, in dry areas. Like in other neighbouring countries, this has resulted in a new agrarian structure, complemented in Zimbabwe’s case by a massive increase also of smallholder agriculture. The new A2 farmers have a similar social and economic profile to elsewhere: urban connections, business people, retirees, and they are also often well-connected politically. Unlike elsewhere the new A2 farms did not emerge from a land market, but from direct allocation by the state, subdividing large-scale commercial farms and estates. Although allocations were notionally done on the basis of a formal application process, including the submission of a business plan and a vetting of applicants in terms of qualification, capital availability and investment ideas, this often didn’t happen. Instead, in multiple cases, there was a well-documented pattern of corruption and patronage, especially around election times, when politically- and military-connected elites grabbed farms. The result has been a mixed set of outcomes for A2 farms. Some have done very well, investing and producing; many though have not, and the farms are languishing. Very often this is due to the lack of capital and finance, which has not been forthcoming due to lack of collateral security. The process of issuing 99 year leases has been painfully slow, and for a variety of reasons the banks have been reluctant until recently to accept them as guarantees. The general lack of liquidity in the economy due to recurrent crises has also hampered investment. 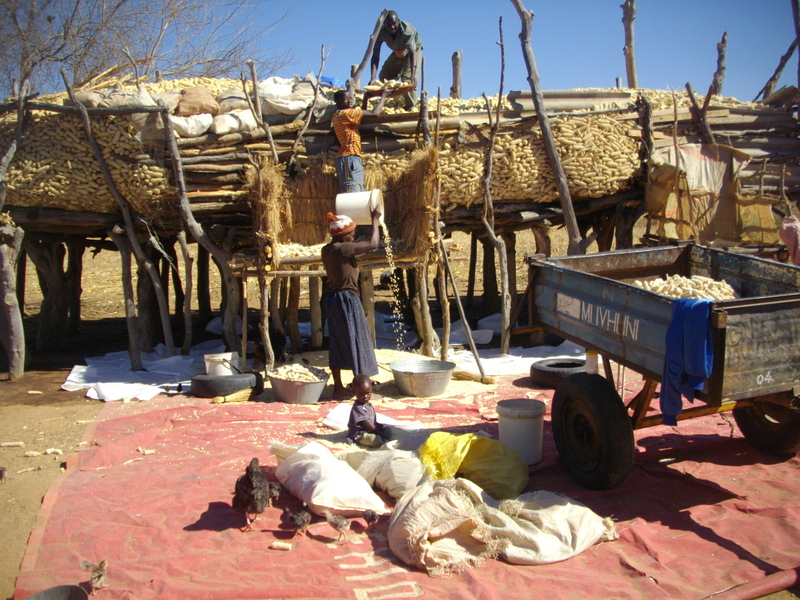 The recent studies of medium-scale farms across Africa have focused on farm structure (in the MSU studies they have taken a huge range of sizes from 5-200 hectares to represent this group) and who owns the farms, and largely not their fortunes as productive enterprises, patterns of investment and long-term viability. Our new studies under the DFID-supported APRA (Agricultural Policy Research in Africa) programme, which is linked to a set of MSU studies led by Thom Jayne, is looking at A2 farms: investigating their sizes, ownership patterns and through some detailed surveys in Mvruwi and Masvingo, investigating both production and investment. Most post-land reform studies have focused on the A1 smallholder farms (appropriately so, given they are the majority), so this will be the first in-depth assessment of the A2 farms, beyond very selective audits carried out by the state a decade or more ago. This will help us understand whether the dynamic in Zimbabwe, generated by the A2 allocations in land reform, replicate or contrast with, what has been found in other countries in the region. In addition to this study, our work has been looking at longer-term histories, and a previous allocation of ‘medium-scale’ farms (also averaging 100 ha) from the 1930s in Zimbabwe. These are the Native Purchase Areas and an earlier blog series has highlighted some of the findings already. 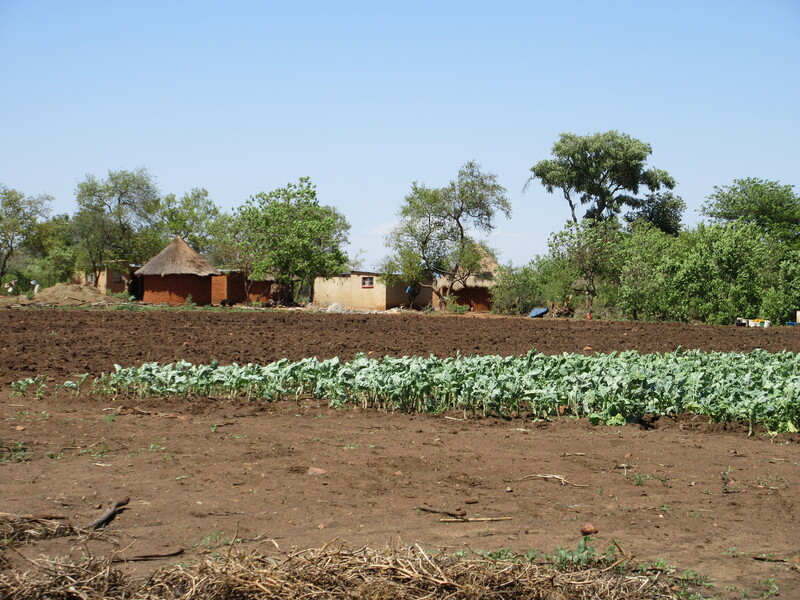 Our new open access paper in Africa synthesises and extends the analysis, based on Mushagashe small-scale commercial farming area near Masvingo. Our findings show that unbridled optimism (or indeed pessimism) about the future of medium-scale farms is unwarranted. The MSU studies from across Africa have spotted an important shift in size structure, but they tell us little about the future. The idea that there is a linear evolution of farm systems from smallholder to medium-scale to large-scale commercial, as land areas consolidate and market forces drive comparative advantage needs to be challenged. The big debates about structural transformation in agriculture currently being revived in agricultural economics are often starkly ahistorical. They assume simple, unidirectional evolutionary change as incentives shift. But there’s a lot else that goes on besides. When we look at history in detail – as we did for Mushagashe, but more impressively Sara Berry did for Kenya, Ghana, Nigeria and Zambia – we see that commercialisation doesn’t happen like this. There are stops and starts, booms and busts, generational changes, policy shocks and so on. History is about contingency, conjucture and chance, not predictable, linear evolution. As we found in Mushagashe, 80 years on some farms were thriving; others had been but were languishing now; others had plans for the future, but weren’t getting going; while others had been abandoned, or were in the process of being so. Still others had different views of the land: this was home, somewhere to seek refuge from ‘communal area’ life, or where other family members could be settled, in what, over generations, had become more like villages than conventional farms. Commercialisation we found wasn’t a one-size-fits-all phenomenon. For some it was the classic pattern of increasing external inputs, greater deployment of labour and higher, more marketed outputs. But for others commercialisation was selective: in projects run by particular family members, or in particular plots, where water was available. While history cannot predict the future, it can help us ask questions about what might be. And the Native Purchase Area lessons documented in the new paper suggest that it is unwise to be too gung-ho about the future of medium-scale farms in Africa. The restructuring of farm sizes we are seeing now will have many outcomes, and the sort of processes that unfolded in Mushagashe since the early 1930s will likely play a part in creating a wide diversity, both in the A2 farms and in other medium-scale farms in the region. Zimbabweland is taking a break for the next few weeks. By the end of this time we will know the outcome of the Constitutional court case brought by the MDC Alliance disputing the presidential (not parliamentary) election results. Maybe there will be a run-off, maybe a new president will be declared, maybe something else. With the drama and uncertainty of the past weeks, no-one can be sure. The nine men and women of the court have a complex job to do, delivering a fair and just outcome and assuring stability in the country. It’s been a dramatic few weeks. You can read my pre- and post election round-ups of useful articles here and here, with some reflections on land and agriculture themes raised by the manifestos, here. In terms of contributions in the past week, Alex Magaisa offered a useful overview of the legal process associated with the constitutional case, while Chipo Dendere provided a thoughtful reflection on the implications for the opposition following the election: notably the need to take rural issues seriously. This year Zimbabweland has already published 24 articles, and has an archive now of 333 going back seven years. Do sign up for a regular email alert or follow me on Twitter @ianscoones. Don’t forget that there are two cheap books that offer compilations of the blogs, with commentaries on different themes. You can get hold of both via Amazon, here and here for £11/$20. And our 2010 book, Zimbabwe’s Land Reform: Myths and Realities is available for under £15/$25 here. Or, if you are in South Africa or nearby, you can get it directly from Jacana for 250 Rands by emailing: sales@jacana.co.za. The 20 most popular articles read so far year are listed below, which include some of the ten reviews I have done this year on new work on land and agriculture by Zimbabwean authors. The series on entrepreneurial agriculture (chickens get the top slot) and overviews of land and agricultural policy challenges continue to feature highly. Of those published this year, the commentary on South Africa’s debate on land expropriation was very popular, particularly as the trope of Zimbabwe as cataclysmic disaster is so readily deployed further south. An alternative view that argues that land redistribution is both necessary and can result in positive outcomes is a rather rarer viewpoint. The three articles I did for The Conversation in January, which also appeared on the blog, were very widely read, and were picked up particularly by South African media. They focused on the issue of compensation for expropriated land, the need for an effective land administration system and ten priorities for agriculture. These issues all remain crucial, and we look forward to a new administration committed to land, agriculture and rural development. Here’s the list of the 20 posts most read so far this year. Happy reading! View – Zimbabwe’s agricultural sector goes from ‘bread basket to basket case’? Or is it (again) a bit more complicated?